We get some vitamin D from our food. Good sources are liver, oily fish, and eggs, however the amount we would need to eat in one day to get the vitamin D our body needs is huge; 8 eggs, 80 glasses of milk a day and a half tin of tuna would only provide a child with 26% of their daily dose. If you are a Vegan it can be even harder to keep those reserves topped up. Children are particularly at risk of deficiency, with Asian and Afro-Caribbean children being particularly vulnerable due to increased melanin skin pigmentation, and now rickets is starting to make a comeback. There are also potential links with vitamin D deficiency and multiple sclerosis, osteoporosis, diabetes. Under 5’s are ranked among the most at risk of low levels of vitamin D with the average toddler only getting 27 percent of the daily dietary vitamin D they need. What is even more of a concern is that many parents are unaware of this daily requirement, as revealed in research commissioned by the Vitamin D Mission. Here are a few of the key myths and “buts” that surround vitamin D as found by BetterYou. They are keen to “banish the buts”! But my kids are too young for supplements …. Banish the buts …calcium is important but it doesn’t work alone. Vitamin D is essential for absorbing calcium to build strong teeth and bones. It also helps prevent bone disease like rickets, which are on the rise. Banish the buts …cloud cover and low sun dramatically reduce our ability to produce vitamin D. Between October and April the sun is too low in the sky for us to naturally synthesise vitamin D. It is not possible in Winter unless you jet off to warmer climes. Banish the buts … only 10% of our essential vitamin D comes from our diet. Oily fish, liver and eggs all contain vitamin D but food alone cannot meet your daily requirement. Our survey found 90% of mums had not been advised about the importance of vitamin D.
Banish the buts… the Department of Health identify those pregnant and breastfeeding as “at risk” groups requiring supplementation. This is a crucial time for both mum and baby so make sure you are getting enough of this vital nutrient. The website “The Vitamin D Mission” have a vitamin D calculator so you can see if you and your children are getting enough of this vital nutrient. You will also find further useful information to read. Supplementation is one of the best ways to top up and keep topped up your vitamin D reserves. I recently watched “Trust Me I’m a Doctor” on BBC 2 and they looked at a group of adults to see which was the best way to get your vitamin D quota. Some of the group had good levels of vitamin D, some had low levels and others were potentially deficient. They split the group into 3 with one group going out unprotected for 10 mins each day in the sunshine, one group supplementing with vitamin D and the other eating more oily fish. What was interesting was that sunshine, food and supplementation were all effective in increasing their vitamin D levels. So perhaps the message here is that we would be best placed to utilise all 3 ways of getting our vitamin D quota so we don't leave ourselves short. 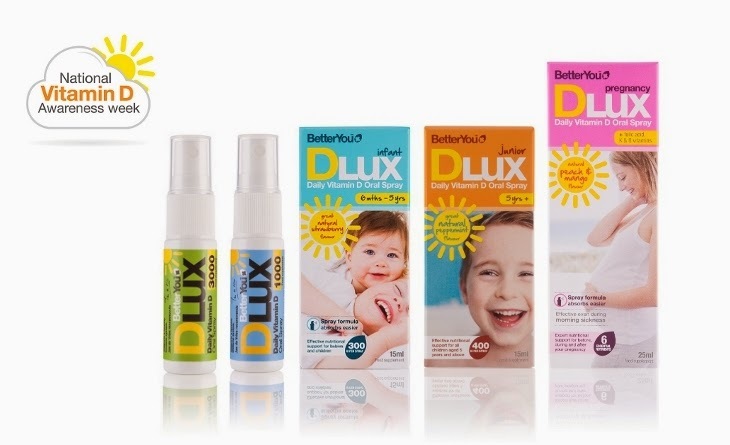 BetterYou have a great range of bio-available vitamin D oral sprays. They have their adult 1000iu and 3000iu sprays, their junior 400iu spray for 5 years plus, their infant 300iu spray for 6 months to 5 years and their pregnancy spray. These oral sprays are sublingual (under the tongue) making them an optimal way to absorb this nutrient through the vascular system within the mouth. You spray either under your tongue or onto the side of your mouth. These oral sprays are suitable for vegetarians, coeliacs and diabetics. They do not have artificial colours or flavours, and they are alcohol, gluten, fat, salt, yeast and lactose free. We have been testing them out this week and love them. They are easy to use, the girls happily take them; Jess takes the infant one which has natural strawberry flavouring. It is not strong and very subtle. Sophia has taken the junior spray which is peppermint flavoured. She loves it which is a relief as she can be difficult when it comes to taking supplements. And the adult spray is again flavoured with peppermint oil and tastes great. If you are looking for a vegan vitamin D3 oral spray then Nature’s Own and Cytoplan do one which is unflavoured. We have this one too and it is again very easy to use. 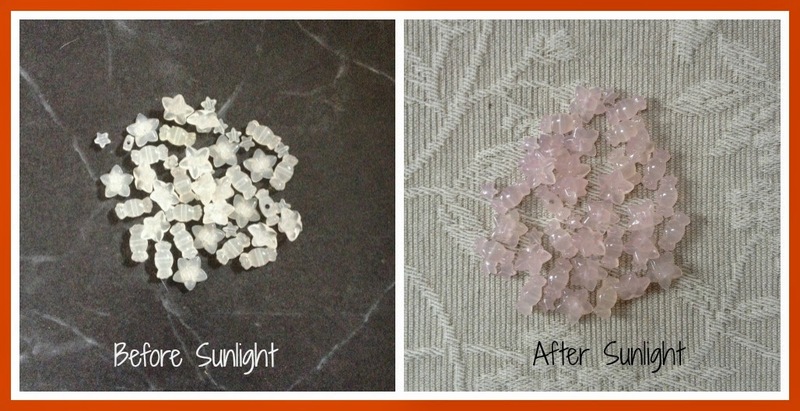 In addition to our vitamin sprays, we were sent some fun sunny beads which were ideal to show the girls how sunlight can change things. When placed in the sunshine or sunlight they change from clear coloured to pale pink, almost like rose quartz. I wonder if they will go any darker in summer sun. We’ll have to test that out next summer. We also had a sunshine egg cooker which we have yet to try out but we will. These extra items were a fun way to learn more about this vital vitamin. Are you getting enough sunshine vitamin in your life? Disclaimer: I was kindly sent a National Vitamin D Awareness Pack by BetterYou. 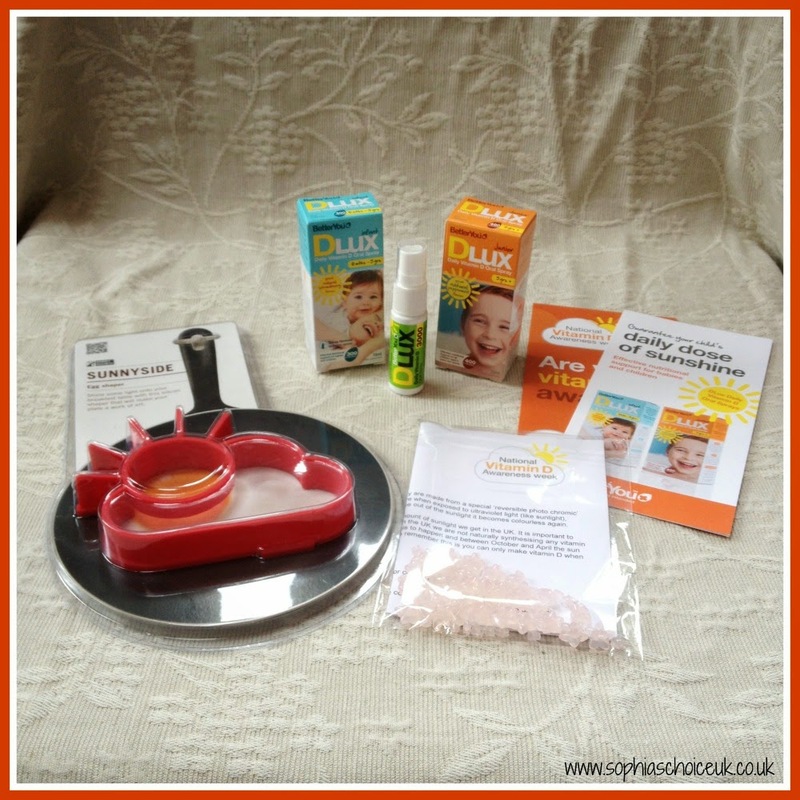 I was not obliged to blog about my findings as they were just keen to raise awareness of how important vitamin D is. However, I feel that this is an important subject and have chosen to share with you my readers.